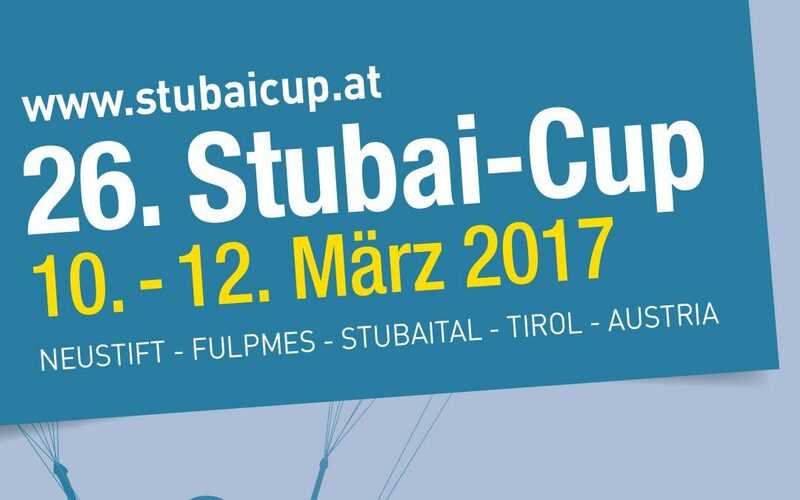 For the 26th time, Parafly Club Stubai is organizing the STUBAI CUP in Austria’s Stubai Valley. You can find out about the latest products at the THERMIK fair, and then test your favorites at the STUBAI CUP only a few weeks later. From March 10 to 12, 2017, this year’s event will once again set colorful accents in the skies over the villages of Neustift and Fulpmes. This year’s motto is « Fun with Flying Friends”. Launch sites are the Schlick2000 in Fulpmes and the Elfer in Neustift. The hot spot is the landing site at Parafly Flight School in Neustift. One special highlight is the Fun Cup, in which every pilot automatically participates with his or her registration. There are numerous prizes to be won, and the main prize is an EN-A paraglider. Would you like to test our paragliders and harnesses? Then come by our booth and have a look!